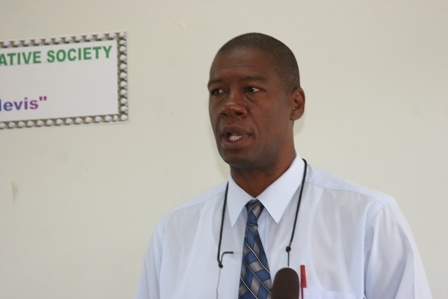 CHARLESTOWN NEVIS (April 06, 2010) — Permanent Secretary in the Ministry of Agriculture and Cooperatives Dr. Kelvin Daly singled out irrigation as the most limiting factor in any agricultural production system – livestock, fruits or vegetables. He made the comment at a recent signing ceremony for a US$97,000 grant from the Japan Grant Assistance for Grass Roots Human Security to the Nevis Sea Island Cotton Producers Co-operative (NESICOPS). The funds will be used in the establishment of an irrigation system to assist with the production of Sea Island Cotton on Nevis. “Today we are making a giant leap forward in removing or at the very least, ameliorating this most limiting factor from our cotton cultivation programme. The promise of attaining full production potential is significantly closer to fruition,” he said. 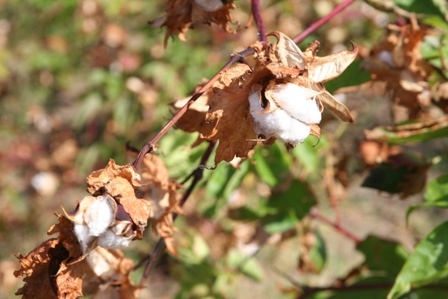 Sea Island Cotton cultivation was reintroduced on Nevis after a four-year hiatus. Prior to 2007, there was less than 10 acres of cotton cultivated and the value of the crop when compared to the cost of production, meant that the programme was economically unsustainable. A decision was made to quadruple the area under cultivation. The search went out to identify new lands for cotton cultivation, since after being absent from the scene, other crops had been cultivated, particularly in New River. Approximately, 75 acres of land was cleared and fenced at Indian Castle, of which 30 acres were planted with cotton. Additional acreages were located in New River, Potworks and Prospect Estate. According to Dr. Daly, drip irrigation at New River, Potworks and Prospect, supported by average rainfall at Indian Castle, boosted lint exports from 2,000 lbs to almost 20,000 lbs, with a value of almost US$100,000.00. However, the 2008-2009 cotton crop suffered under a relentless drought. As a result, exports fell by over 50percent. He further explained that for the 2009 – 2010 crop, a rudimentary irrigation system was introduced at Indian Castle, in an attempt to modify the effects of the continuing drought conditions. 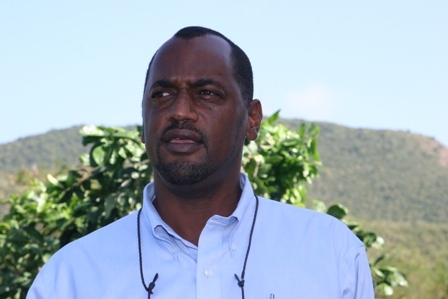 Meantime, Director of Agriculture on Nevis Mr. Keithley Amory noted that the grant fund would help to increase cotton yields, employment and empowerment of farmers and would also increase the economic returns to farmers and the Nevis Government. He said the Department’s statistics had shown that irrigated fields of cotton cultivation had weathered the challenges faced by low rain fall. “So our solution is, cotton must be irrigated to increased yields and to maintain that steady market that we have – a guaranteed market that we have together,” he said. Mr. Amory said it was the revenue and crop loss which prompted the farmers to seek assistance for an irrigation system. “The action taken was to approach our buyer the Japanese for grant funds which they so gracefully and gratefully have now given us. “We worked hard, based on their input that we must form a cotton association. It went one step further and formed the Nevis Sea Island Cotton Producers Cooperative Limited Basseterre,” he said.